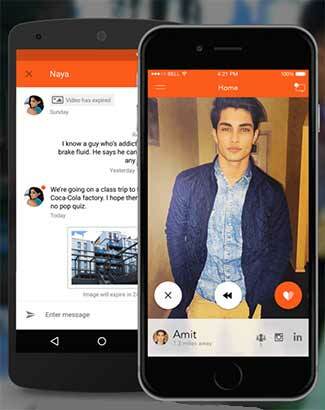 Dil Mil, a matchmaking app for South Asian expatriates, has raised an undisclosed amount in funding from one of the founders of US-based music streaming app Saavn (South Asian Audio Video Network), a person close to the development told Techcircle.in. Confirming the investment, a Saavn spokesperson said, “It's a personal investment from one of the founders. As a leading internet company in India, our founders believe in supporting great entrepreneurs and products." The US-based Indian music streaming firm Saavn has three co-founders - Rishi Malhotra, Vinodh Bhat and Paramdeep Singh. Which of the three founders had invested in Dil Mil could not be ascertained. A Dil Mil Inc spokesperson refused to comment on the development. The company had previously raised about $1 million in seed funding from a group of angel investors including Will Bunker, founder of Match.com; Scott Banister, former PayPal board member and Ironport founder; Naval Ravikant, founder of AngelList; Rich Nelson, former managing director for M&A at IAC – the holding company for Tinder and Match; and 500 Startups. The Dil Mil app is designed for South Asian singles looking for long-term relationships. The app has a 5-second timer on viewing a user’s profile picture to stop users from sharing someone’s profile picture. Users can only view a number of profiles on a single day. For unlimited access, users need to subscribe to a paid model. Users can also link their LinkedIn and Instagram profiles to the app. Dil Mil was founded by ex-Wall Street trader KJ Dhaliwal earlier this year. A graduate of Drexel University, Dhaliwal had founded UniDevs, a website and mobile application development company, and Finantric Capital, an investment fund in the past. He has also worked with Union Metrics, McGladrey, SEI, PNC, and World Trade Financial Group in the past. The app had a soft launch in the Indian market in October and has witnessed a double-digit growth since then. Today, India is its third largest market after the US and the UK, a Dil Mil spokesperson claimed. Overall, the app claims to have reached the 1 million match benchmark recently and is averaging two marriages per week. Although the online dating/ matchmaking space is a crowded market in India, Dil Mil leverages its 20 per cent NRI market share to connect Indians. The dating apps industry in India has been gaining momentum with many new players entering the market and raising investments. In July this year, location-based casual dating app iCrushiFlush, raised an undisclosed amount in a pre-Series A investment from IDG Ventures. Matrimony.com Pvt Ltd, which owns a string of matrimony-related consumer internet properties including BharatMatrimony.com, EliteMatrimony.com, CommunityMatrimony.com, AssistedMatrimony.com, MatrimonyDirectory.com and Tambulya.com, launched a dating app named Matchify.in in April under a separate wholly owned arm, MatchifyServices Pvt Ltd. Matchify positions itself as a women-focused dating app and allows them to communicate directly with others while men registered on the site can do so only when they get a ‘match’ to like them back. Matrimony.com is looking to raise Rs 350 crore ($53.6 million) through an IPO issue besides an offer for sale by Bessemer Venture Partners that is looking to exit in the issue. Early this year, Matrimony.com’s competitor People Group, which owns matrimonial portal Shaadi.com, invested an undisclosed amount to pick a significant minority stake in Delhi and Singapore-based Thrill Pte Ltd, a mobile dating startup which runs its apps on Android and iOS under the Thrill banner. In a related deal, People Group’s existing dating property Fropper was brought under Thrill. Other popular matrimonial portals are Info Edge's Jeevansathi and Times Internet's SimplyMarry. In November 2014, mobile-based dating venture Vee had received $1 million in its pre-Series A round of funding from Lightspeed Venture Partners.